Hello! 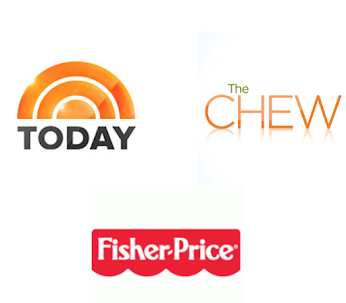 We are so glad you are here. We can't wait to show you how to make this adorable Valentines Day quilt! 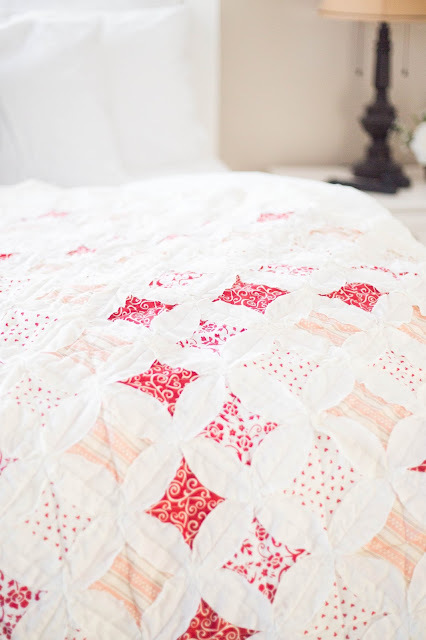 We also have a great easy DIY Bind A Quilt video HERE. 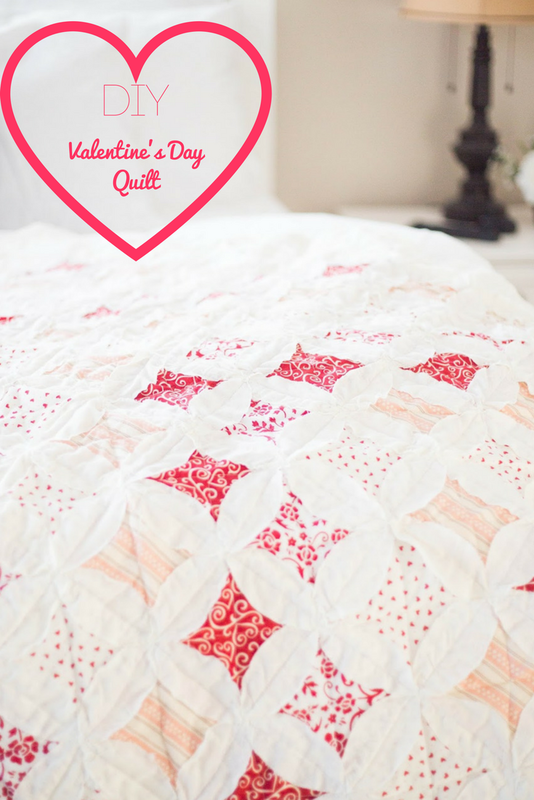 Back to the Valentines Day Quilt. I love to pull out this quilt every February to make our home feel more lovely. You can make a quilt very similar to this by following the directions below. Keep in mind, I made this pattern myself. I cut a bunch of 5x5 squares, laid them out in a pleasing pattern and sewed them together. I used a self healing matt, a 5" ruler, and a rotary cutter to get the job done. First sew the blocks together for each row and then sew the rows together to create the quilt top. You can make this whatever size you want. I kept mine small so I could actually quilt it on my sewing machine. 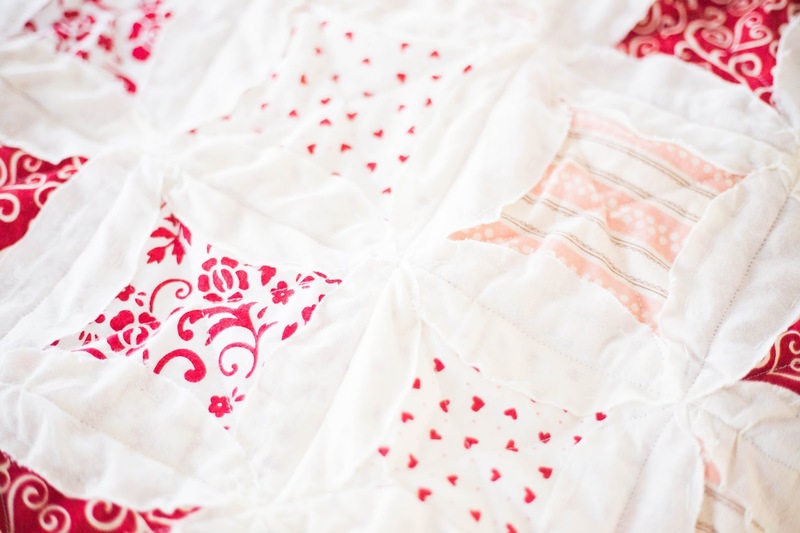 On all sides of each square there are flower petal shaped applique. 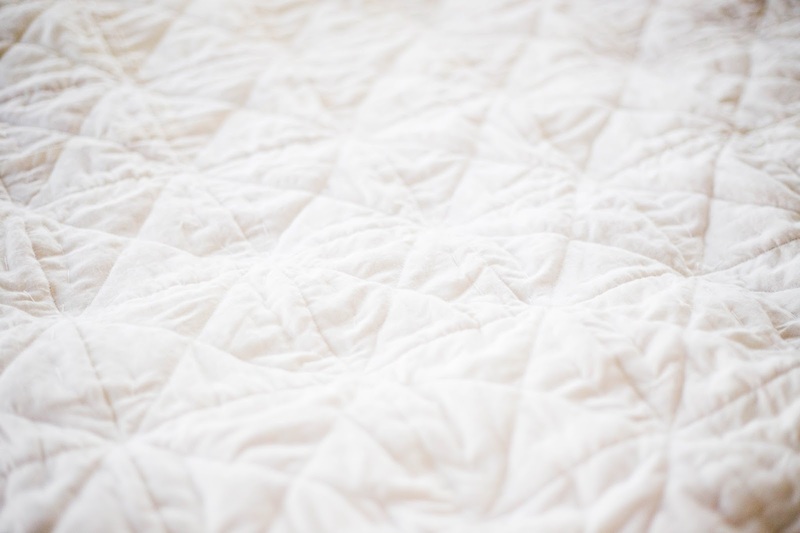 You don't need to make petals for the edge of the quilt because you will bind it. The size of your petal depends on the height of your block. When I sewed my quilt together, my blocks then became 4 inches tall because of the seam allowance. I cut my petals to be 4 inches tall and I think they were an inch or two wide at the center. Do what you think looks good and start cutting away! My favorite fabric scissors are Ginghers - they are the best! Once your petals are all cut out, you can pin them onto the quilt making sure that the points of the petals meet up with all the other petals. In other words, all points meet together forming an X or a plus. Mine overlapped a bit. Then I set it up on the quilting frame with a back piece of fabric and some batting in the middle. Every night, for about a week, I quilted it together by hand. I went around every single petal. When that was finally finished, I binded the edges by hand, but you can can more easily do that on a sewing machine. In the end I sewed down the middle of each petal with my sewing machine so everything was extra secure. If you are in the market for a new sewing machine, we recommend the Brother Project Runway. Meg has used this machine for years and has loved it! 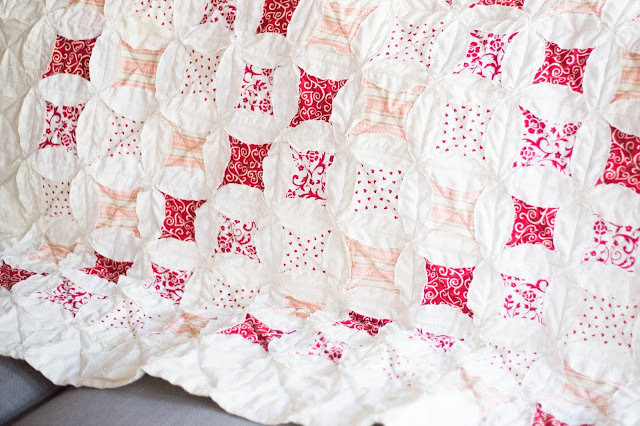 This pretty quilt is perfect for snuggling up with the one you love. Happy Valentine's Day! 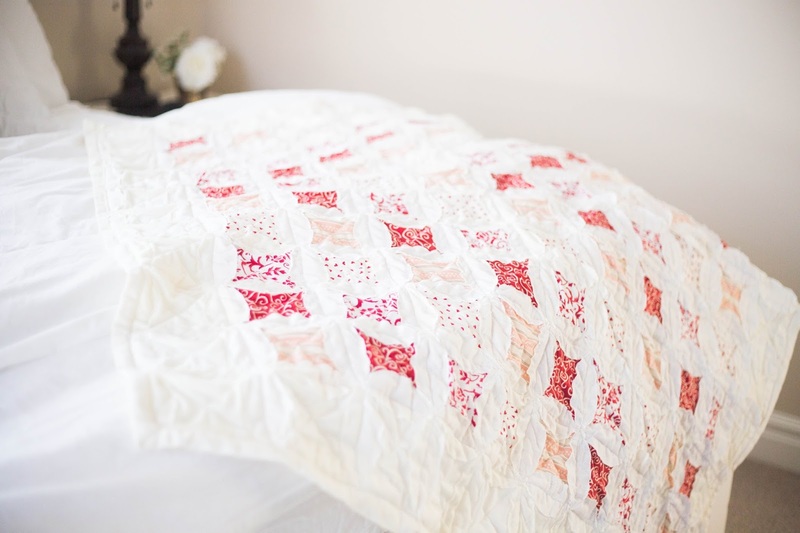 Do you have the instructions for this quilt? I would love to make one! Sure I can put up some instructions, but I don't have any more pictures to post about it so hopefully I can explain it clearly.